I've wondered what to do about Canada's literary scene for some time. If you follow literary events closely, you'll see a lot of white faces on the lineups and in the promotions. In a multicultural country like Canada, that kind of oversight is a significant problem publishing professionals and festival organizers can't afford to ignore. I've wondered what to do about Canada's literary scene for some time. If you follow literary events closely, you'll see a lot of white faces on the lineups and in the promotions. But if a literary festival does not prioritize one of the most visible facets of diversity, it's unlikely they're thinking about other aspects of diversity, either. In a multicultural country like Canada, that kind of oversight is a significant problem publishing professionals and festival organizers can't afford to ignore. I founded the Festival of Literary Diversity (FOLD) -- Canada's first festival for diverse authors and stories -- to provide a space where diversity would not be an afterthought but a starting point, a festival where a diverse range of authors would serve as experts in the craft of writing, not just experts in "diversity." In the past, I've wondered if it really matters. If it's really a problem. I've wondered if I'm being oversensitive. I've internalized my concerns out of fear that speaking up would cause me to lose what little clout I have as an author, worried that I would be seen as an angry black woman who was complaining because I wasn't invited to the ball. But I have learned that the problem is much bigger than my insecurities. I have also learned that I am not alone. When the inaugural lineup for a book convention in New York City was released in 2014, the BookCon lineup included only one person of colour. In response to the oversight, a #WeNeedDiverseBooks social media outcry began; people posted pictures about why diverse books were important. 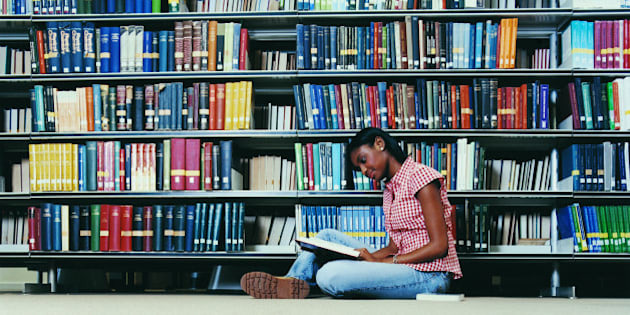 Organizers added a session to the 2014 program: "The World Agrees: We Need Diverse Books." I was not the only one who noticed the scarcity of diverse voices on the shelves. I was not the only one who wanted change. For the first time, I realized that I was not the only one who wanted to go to festivals that reflected a wider range of stories. I was not the only one who noticed the scarcity of diverse voices on the shelves. I was not the only one who wanted change. Author Dalton Higgins wrote a response to the events south of the border and exposed a similar problem in Canada. He proposed that nothing would change until the industry -- the gatekeepers and decision makers -- were more diverse. For the first time, I knew how to address the problem head on. I had seen first-hand what it looked like to be pigeonholed as a diverse author, to have my story excluded from a bookstore because, as the storeowner said, "this town is very white." At one festival I attended, more than eighty per cent of the roster was white. Not surprising, the audience at the opening event was almost exclusively white as well. In my mid-thirties I was one of the youngest guests, even though the festival was a block away from two universities. Impressed by the turnout, one of the board members said, "We're really happy with the way things are. We've got something that's really working." To him, there wasn't a problem. But to me, there were obvious concerns. In 2014, I met with Scholastic Book Buyer Leonicka Valcius. She was doing important work on social media via the hashtag #DiverseCanLit. She was passionate about increasing the representation of people of colour in the industry. She was also interested in dismantling literary elitism -- pushing against the hierarchy that places literary fiction in the upper echelon of worthy reading and leaves genres like graphic novels, science fiction, speculative fiction, crime novels and romance novels on the literary worthiness periphery. Together, we made plans to kickoff the first Festival of Literary Diversity in May 2016. In our first planning meeting, our small team of three talked about where we might host the festival. Toronto is so dense -- literary events happen throughout the city year-round, the literary scene is vibrant -- supporting numerous long-standing series and events. In the suburbs, reading series are not as common. Many readers have never been to a literary festival or a reading, and many suburban and rural writers I know feel disconnected from the action. Brampton is one of Canada's youngest cities. It is amongst the most diverse cities in the country. The downtown core is easily accessible from Union Station and close to the airport. It was the perfect place for the FOLD. But Brampton was also a risk. It's considered to be a "bedroom community" by some -- a place where residents sleep, but not a place where they go to enjoy life or work. And while the population is large and the downtown core boasts great accessible venues, the FOLD would be the city's first major event. So while the Festival of Literary Diversity will serve as a necessary addition to Canada's literary landscape, it will also play an important role in Brampton's growth and development. Backed by a committed planning team and a supportive board of directors -- as well as significant municipal and provincial funding -- the first festival is set to welcome over 40 authors, spoken word artists and literary professionals for a three-day event on May 6 to 8, delivering more than 30 sessions for readers and writers from all walks of life in historic, downtown Brampton. Our hope is that the FOLD will benefit readers and writers across Canada -- showcasing voices they may not otherwise encounter, highlighting topics and discussions that will evoke thought-provoking conversations which will have a positive impact on Canada's literary arts scene for years to come.